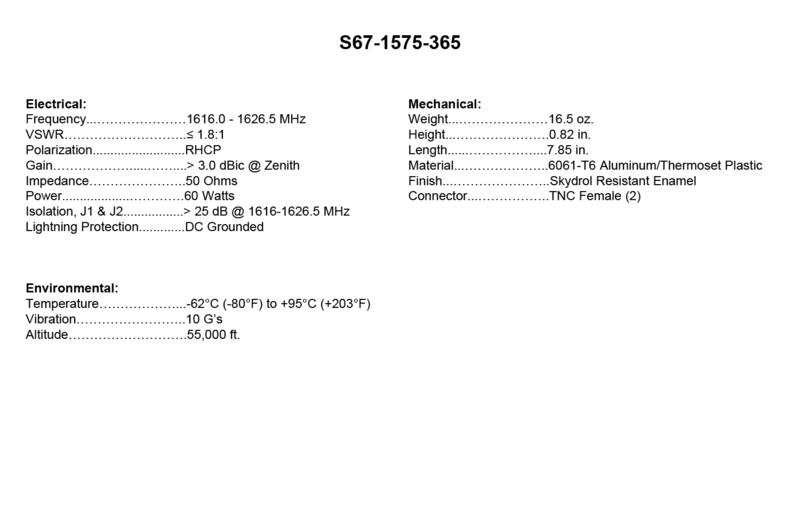 S67-1575-365: TSO-approved, dual-element Iridium antenna providing coverage from 1616 MHz to 1626.5 MHz for full Iridium coverage. 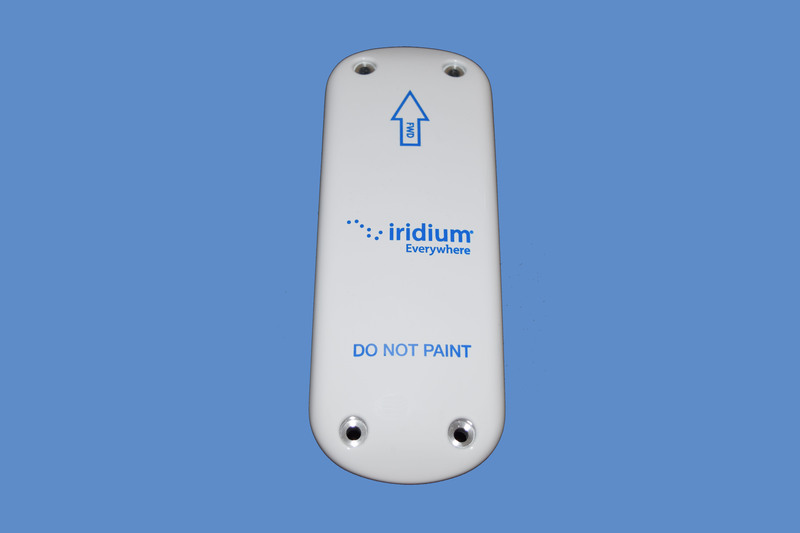 The dual-element design provides the capability to connect two Iridium devices to the antenna with one antenna installation. Provided with two TNC female connectors.The special molded radome provides superior protection against rain, ice and lightning strikes. The unit is hermetically-sealed and DC-grounded. 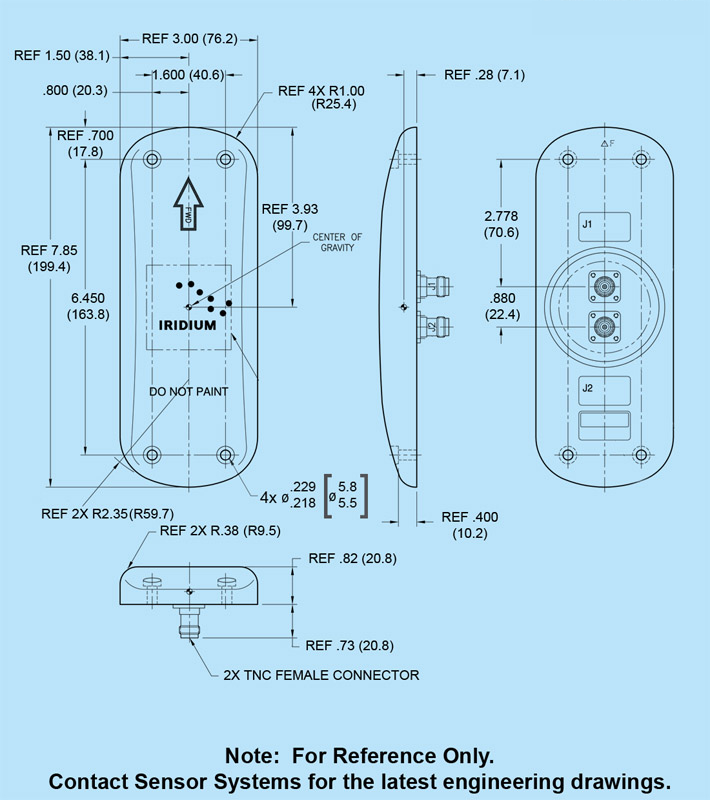 The S67-1575-365 has been approved as Iridium Compatible Equipment (ICE). FEDERAL & MILITARY SPECS: TSO-C159a, DO-160D/E/G, DO-262A, SAE ARP5416, MIL-HDBK-5400, MIL-STD-810C/D.